Galleons Passage at Damex Shipyard, Santiago de Cuba, Cuba. 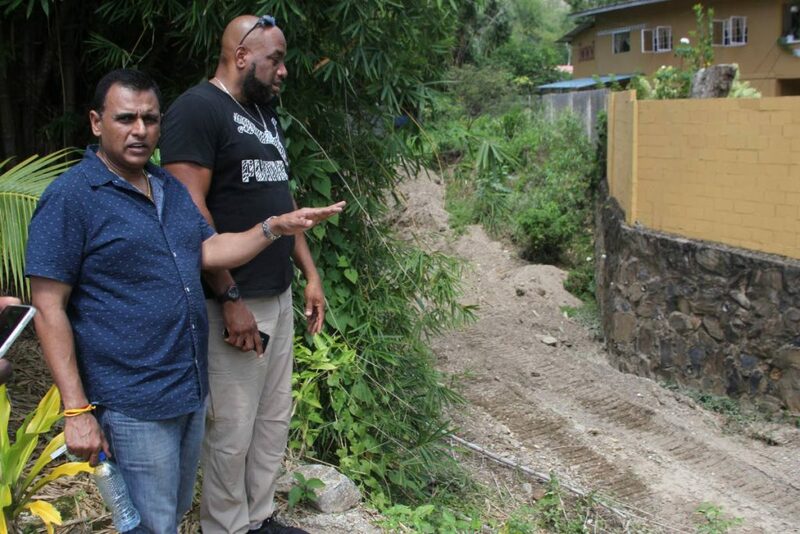 THE Galleons Passage should be in use between Trinidad and Tobago in time for the height of the July/August vacation provided there are no further keep backs, Transport Minister Rohan Sinanan said yesterday. Sinanan said the National Infrastructure Development Company (Nidco), the agency responsible for the vessel which cost US$17.4 million, assured that work currently being done in Santiago de Cuba should be completed by July 10 and four days later the Galleons Passage will set her bow in TT waters. He added that Nidco was working with the director of maritime services to get the boat in use as soon as possible after arriving. Asked about concerns that there were undue delays owing to a failure by Nidco to send the necessary documentation to ports where the vessel docked en route to Cuba, Sinanan said the delays were not as a result of that. He added the docking at the ports in Miami and Panama was hampered only by the number of ships queued and not because of any man-made errors. In an e-mailed response to Sunday Newsday, Nidco said all requirements needed for the Galleons Passage to dock at ports en route to TT were handled by the vessel operator, International Maritime Services Pty Ltd (IMS), which specialises in transporting large vessels worldwide. Nidco added that all arrangements for requisite documents for docking were part of its contract with IMS to deliver the vessel to TT. Nidco also said there were no additional costs as a result of the delays and all associated costs for port docking were included in the contract fee with IMS. Damex Shipyard was completing work on the vessel which included sealing of the gap between ramp door and hull of the vessel; fabrication and installation of the framing for the forward canopy on the vehicle deck (to protect against sea spray) and installation of additional anchor rings to secure vehicles on the vehicle deck. Sealease has an agreement with Damex and chose to complete the work there. All additional work will be done in TT while the vessel is being used to service the seabridge and the cost will continue to be borne by Sealease. Government decided to bring the vessel to TT after Sea Transport Corporation of Australia, had difficulties in getting equipment to Cuba to complete the retrofitting works. In a WhatsApp exchange with Sunday Newsday on Friday, Finance Minister Colm Imbert, who announced the premature pulling out of dry dock in Cuba, during the question and answer session in Parliament last week, said the US embargo with Cuba was extremely problematic for Sea Transport Corporation. “Any shipment coming from Australia would have to be offloaded in another port and transshipped, most likely more than once. That’s the problem. The seller reported that it was proving to be very difficult to find a way to ship the materials to Cuba, because it’s not a direct route and the US embargo was complicating the issue,” Imbert said. Reply to "Galleons will sail to TT"